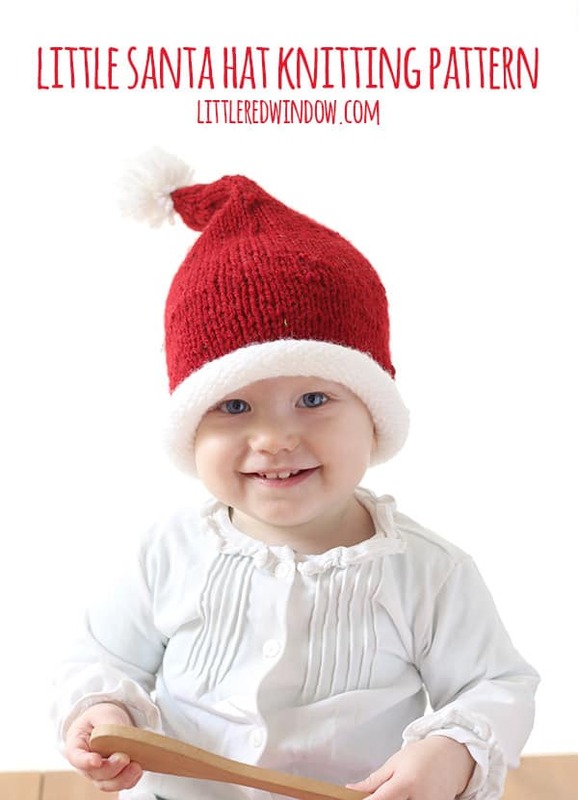 Knit up a simple and adorable Santa Hat with this free Santa Hat knitting pattern! You guys, this is only tangentially related to the Santa Hat Knitting Pattern, but guess what! It only took 6 years but O finally gathered up enough courage to meet Santa! Anyway, Aa told me he really wasn’t sure if it was the real Santa and apparently there’s been some debate on the playground at school (No! They’re too young for that!) but in the end he decided it was really Santa. Which is just so cute. I think 6 is the best age, it’s so fun. He can do so many things for himself but he’s also still sweet and little. 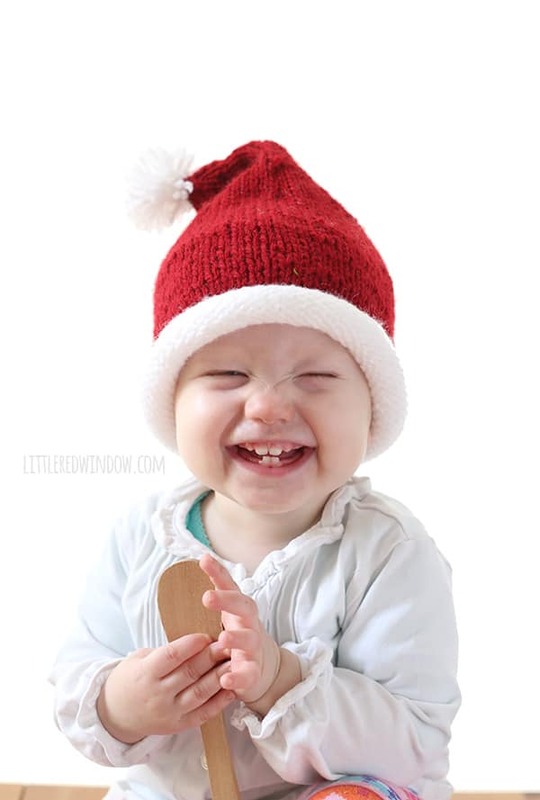 But back to the Santa Hat! The rest of my Christmas hats are a little more challenging and I had someone email me asking if they’d be able to handle one of them if they were a beginner. And while I think that yes, as long as you can knit in the round, you can handle them, I thought you guys might like a really simple hat. 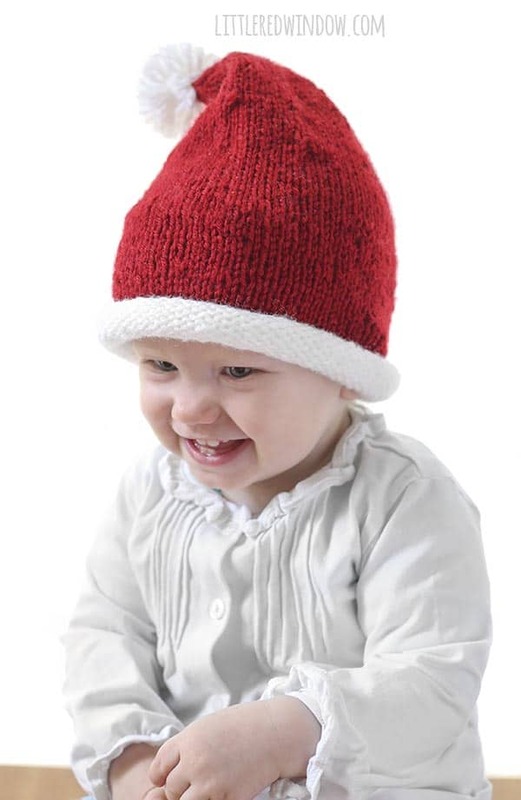 So the Little Santa Hat Knitting Pattern was born. It’s soooo easy, I promise. And also, it just looks super cute on. So scroll all the way down to find the free pattern or click the button to upgrade to the pdf version with more sizes! 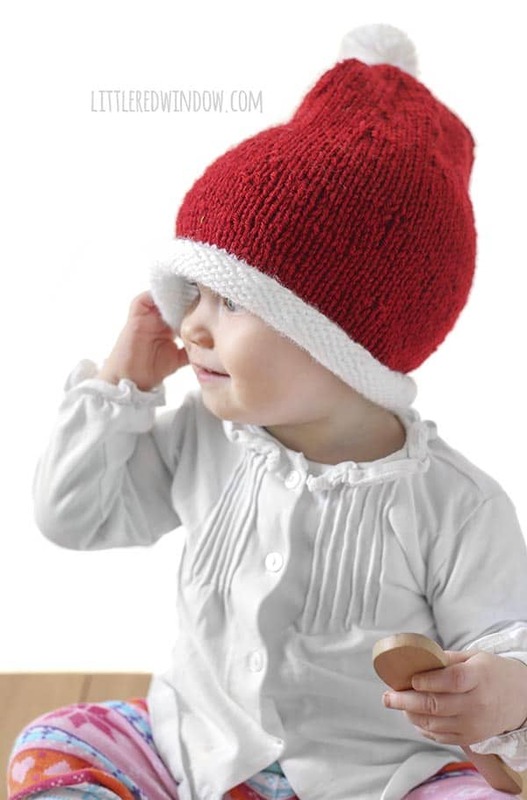 Using long-tail cast on, cast on 72 stitches onto your circular needles with the white yarn. Join to knit in the round and knit all stitches for 16 rounds. The brim of the hat will begin to roll up as you go. 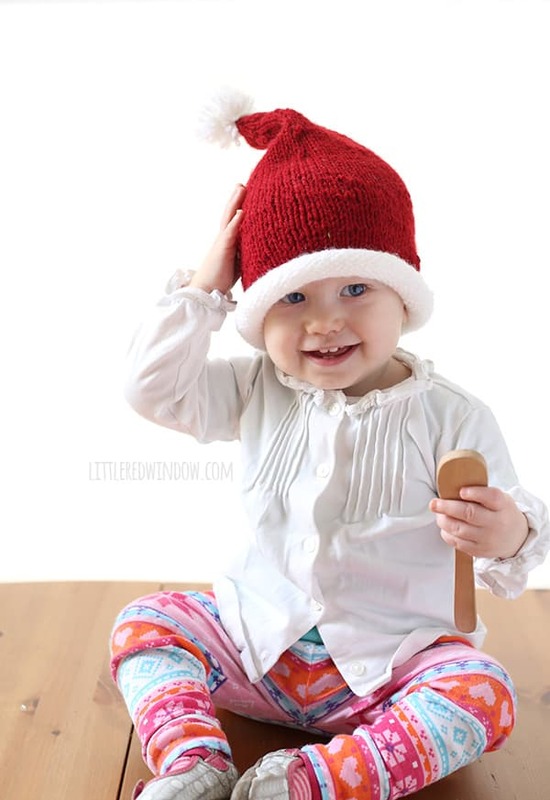 Switch to the red yarn and knit all rounds until the hat is about 5 inches long after the rolled brim. Round 7: (k5, k2tog) and repeat to the end of the round. Round 13: (k4, k2tog) and repeat to the end of the round. Round 17: (k3, k2tog) and repeat to the end of the round. Round 21: (k2, k2tog) and repeat to the end of the round. Round 25: (k1, k2tog) and repeat to the end of the round. Round 29: k2tog and repeat to the end of the round. 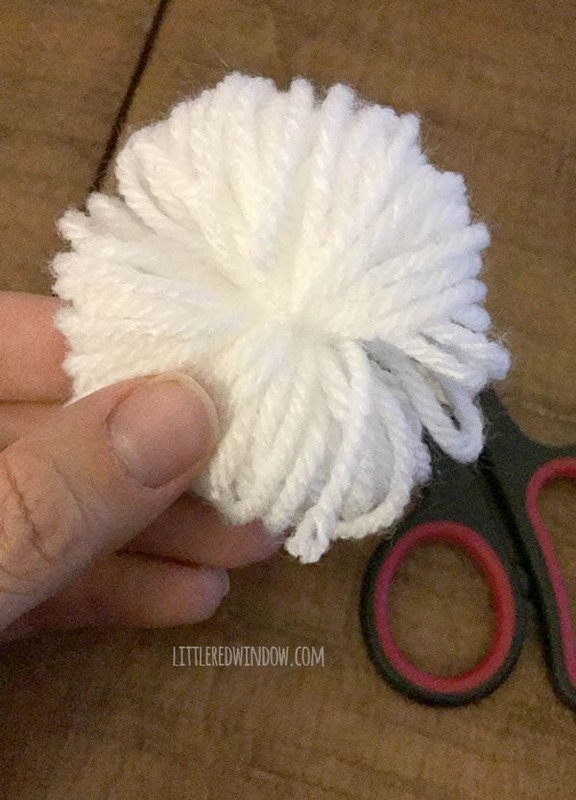 If you have a pom pom maker, use it to make a pom pom from the white yarn. 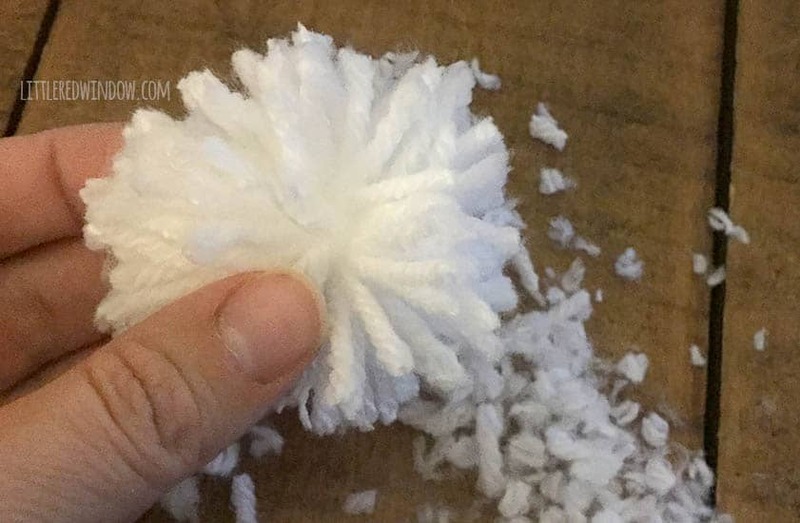 To make a pom pom without a pom pom maker, wind white yarn around a few fingers or a fork many times (the more times around, the fluffier the pom pom). Cut another piece of white yarn about 18 inches long. Tie one end very tightly around the middle of the wound yarn. 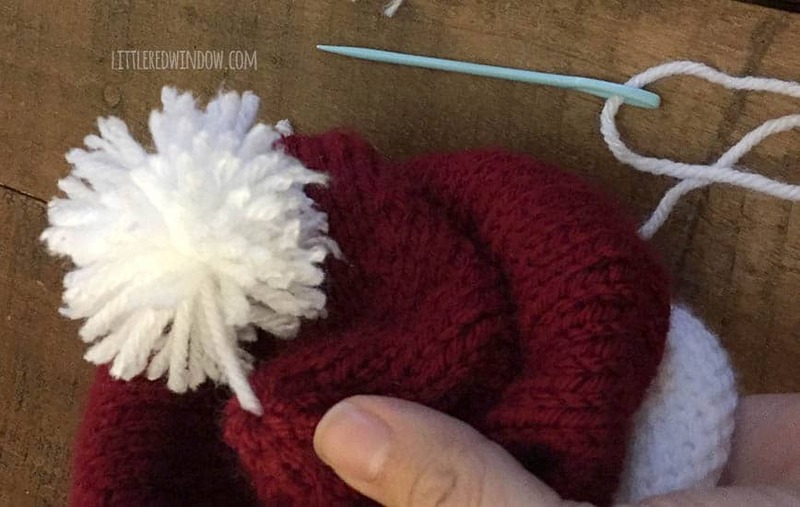 Leave the other end long, you will use this long center tie tail to attach the pom pom to the hat later. 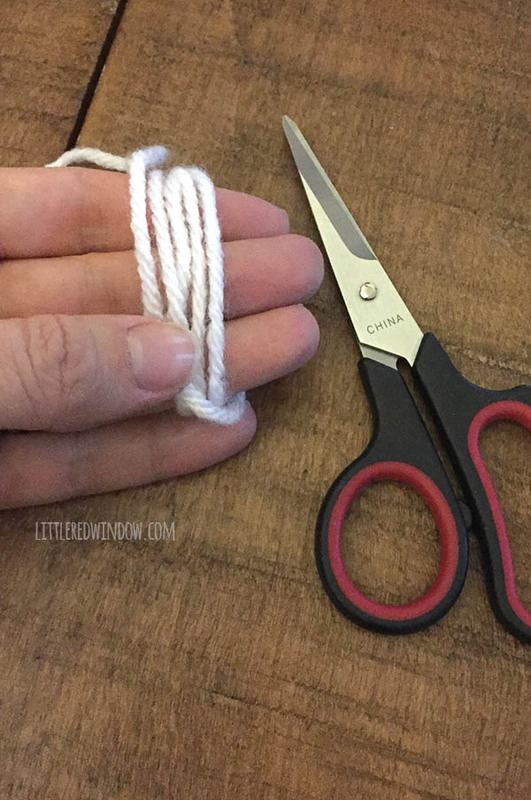 Release the pom pom by cutting through the loops on either side of the center tie. 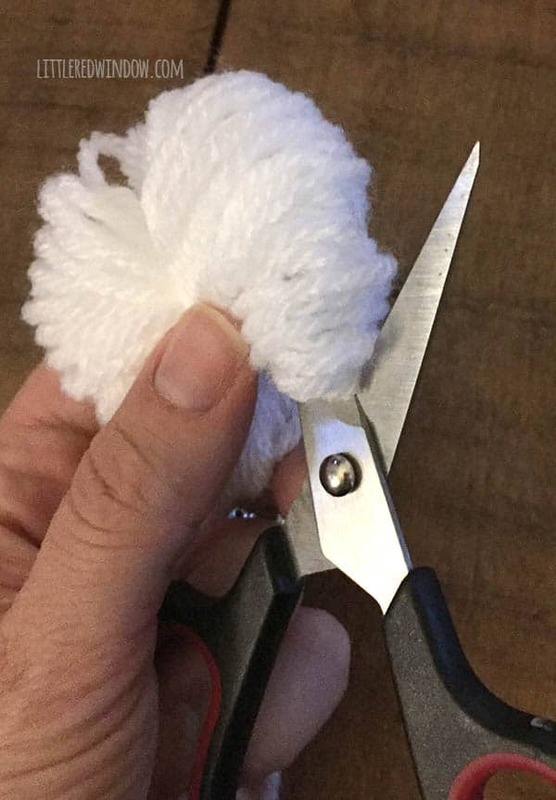 Trim your pom pom to make sure it’s round. Make sure you don’t accidentally cut the long center tie tail. 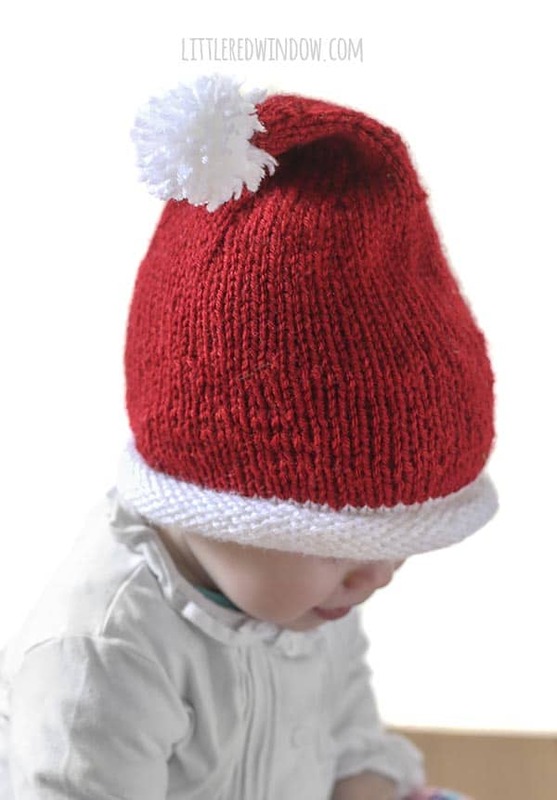 Thread the long tail onto a yarn needle and use it to stitch the pom pom securely to the top of the Santa Hat. Make sure it’s attached well since this is an item for babies. Weave the end in inside the hat. And that’s it! 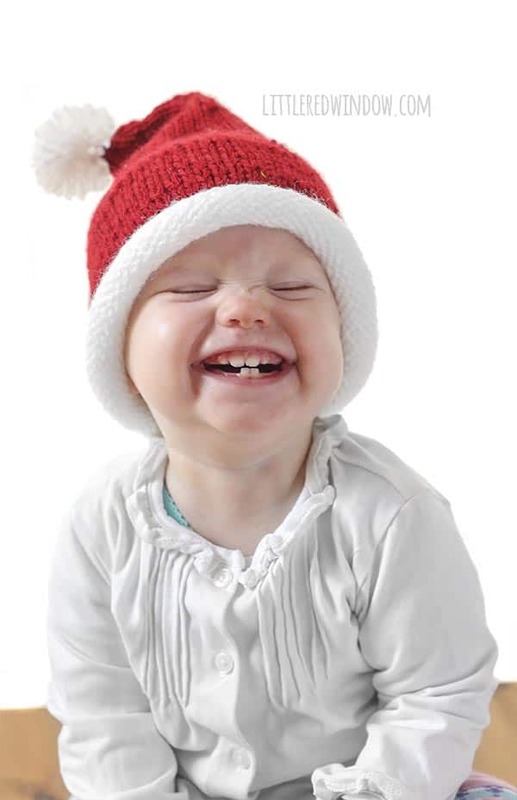 Santa’s Little Helper is ready for the holidays! Merry Christmas!